SCOTTSDALE, Ariz., March 8, 2019 – ​Press Pass Collectibles (PPC), a division of Bell Sports Marketing and a leader in the sports collectibles industry, has announced an exclusive long-term memorabilia partnership with NBA legend Earvin “Magic” Johnson. Johnson’s first-ever exclusive memorabilia deal, the partnership will allow PPC to become the sole distributor of highly sought-after Magic Johnson autographed collectibles. The partnership will provide fans and memorabilia collectors around the world access to the largest selection of officially licensed items including signed basketballs, jerseys, photos, and more from one of greatest athletes to play the game. Johnson’s remarkable NBA career included five NBA championships, three NBA MVP Awards, twelve All-Star games, and two inductions into the Basketball Hall of Fame. Johnson was also honored as one of the 50 Greatest Players in NBA History in 1996. Since his retirement as an NBA player, Johnson has successfully parlayed his skills and tenacity from the court into the business world as Chairman and CEO of Magic Johnson Enterprises (MJE). Combined with his solidified status as an NBA legend, the demand for Johnson’s autographed sports memorabilia will only increase in the future. The partnership underscores PPC’s continued dedication to provide fans and collectors an unparalleled selection of authentic memorabilia while striving to not only meet their commitments and client expectations, but to exceed them on every level. 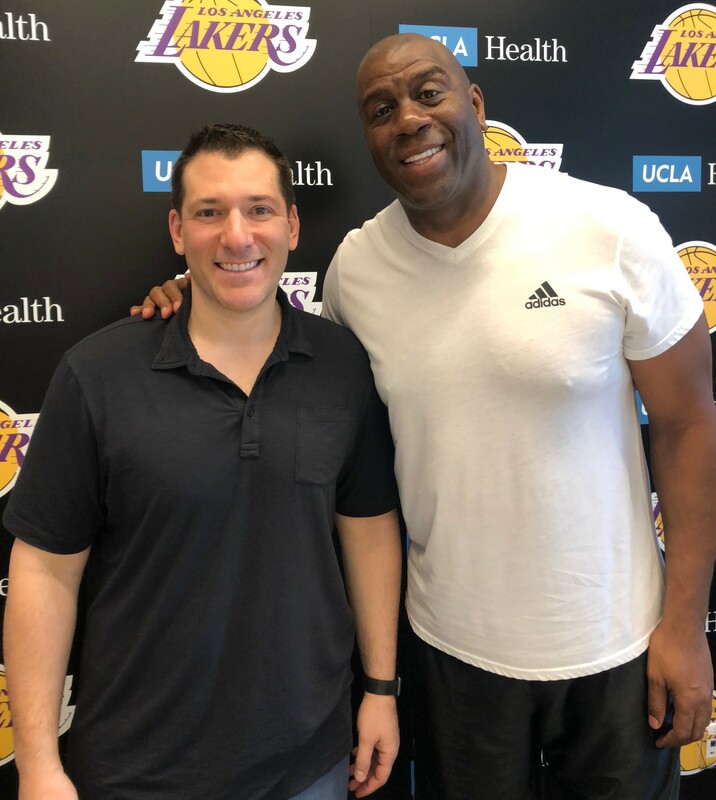 “We are thrilled to welcome Magic to the PPC family,” said PPC President Kyle Bell. “We have worked with him many times over the years and this exclusive long-term partnership was a natural next step to protect and grow the Magic Johnson autograph brand.” The second high profile addition to the PPC family in recent years, Johnson joins comedic legend Chevy Chase as an exclusive PPC memorabilia client. In addition to the full collection of authentic signed Magic Johnson memorabilia already available on presspasscollectibles.com, PPC will be offering retail and wholesale opportunities for upcoming public and private Magic Johnson signings, as well as corporate signing appearances and custom corporate autographed items.